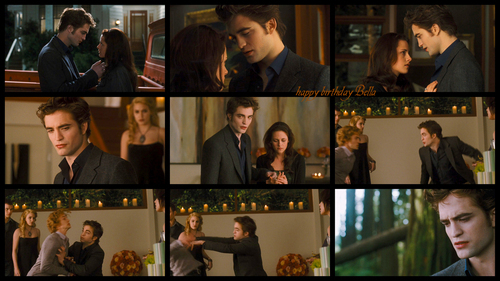 New Moon <3. . HD Wallpaper and background images in the Twilight Saga 영화 club. This Twilight Saga 영화 wallpaper might contain 음악회, 콘서트, and 스테인드 글라스 창.